Samantha Mann is a New York State Licensed Behavior Analyst (001494) and a Board Certified Behavior Analyst (1-16-24230). She received her undergraduate degree in Psychology with a focus in Social Psychology from Radford University. Samantha completed her Masters Degree in School Psychology and advanced graduate degree in Applied Behavioral Analysis at George Mason University. 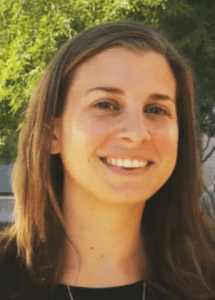 Samantha is passionate about training ABA therapists and working closely with families and educators in order to create the best environment to ensure student success. Helping parents and educators gain a deeper understanding of their student, decrease problem behaviors, and increase functional life skills is Samantha’s top priority. Watching students reach their potential and gain meaningful life skills with the help of ABA and a variety of evidence-based practices is what keeps her motivated. Samantha has spent a significant amount of time in schools and homes designing and implementing ABA programs that meet student and family needs. She has experience conducting Functional Behavioral Assessments and writing Behavioral Intervention Plans. Samantha is particularly passionate about supporting caregivers and educators in the implementation of behavior plans. Having caregivers feel in control of their environments while safely teaching children new skills is her number one goal. Samantha is skilled at providing both DTT (discrete trial training for early learners) and NET (Natural Environment Teaching for more advanced young learners). She has specific experience addressing a wide array of behavioral and developmental challenges for children ages 3-21 on the Autism Spectrum and related disorder, such as daily living skills, communication difficulties, decreasing aggressive, self-injurious, non-compliant behaviors, eating/feeding difficulties, and social deficits. Samantha’s past experience in school psychology and history of working in schools gives her a nuanced understanding of the special education system and how parents can best work in collaboration with schools to meet their students needs.